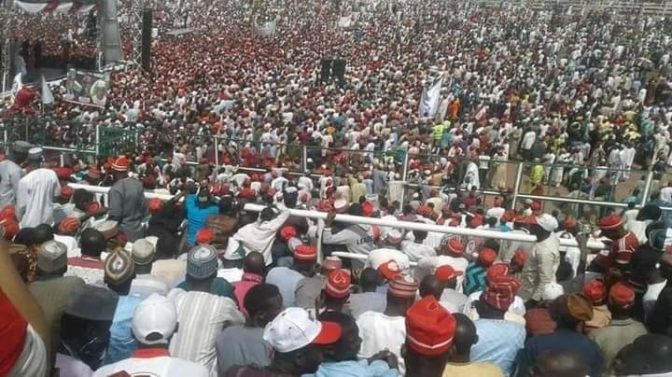 At least nine persons reportedly collapsed during Atiku Abubakar's campaign rally in Kano state. 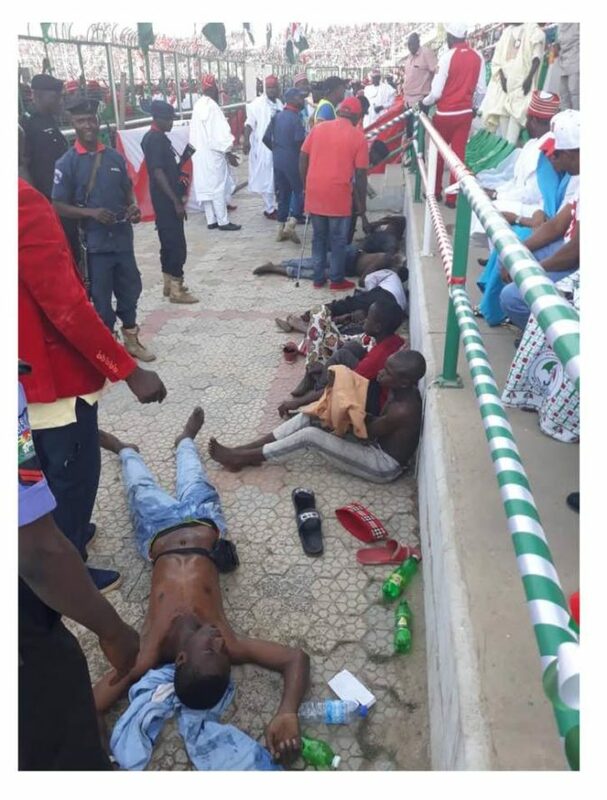 Nine persons slumped at the Sani Abacha Stadium in Kano where the rally of Atiku Abubakar, presidential candidate of Peoples Democratic Party (PDP), is ongoing. The massive crowd flooded the stadium, making it difficult for movement within the facility. The reporter at the venue of the rally said he counted eight persons lying on the ground while security operatives made arrangement for them to be taken to the hospital.